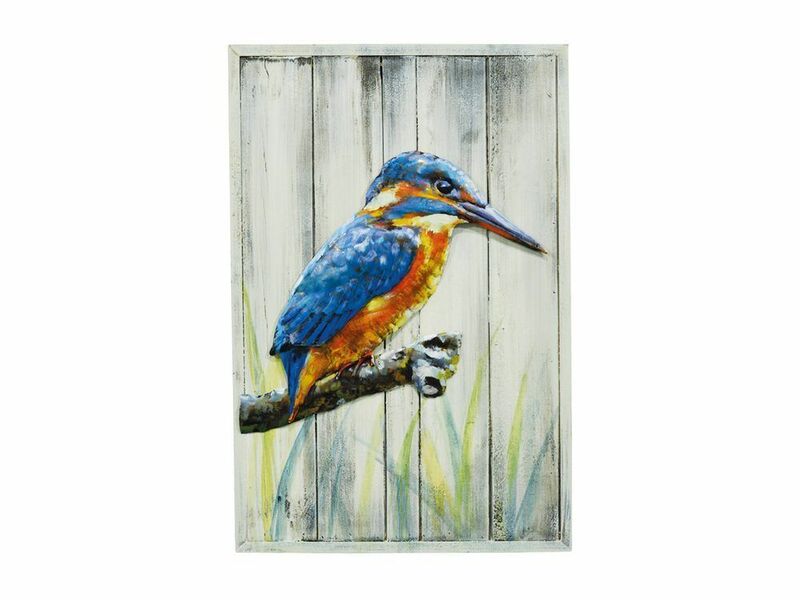 This metal and wood bird wall art of a kingfisher is a fitting tribute to the flamboyant king of the British riverbank. This colourful wooden wall hanging is mounted on distressed, white-washed wooden planks that beautifully accentuate the vivid blue and gold markings of this rare bird. Perched on a branch with reeds flowing up from the riverbank, this metal British bird hanging shows the Kingfisher looking ready to spear a fish. This wall hanging is a charming way to add a rustic, natural look to the home.